Winter, spring, summer, or fall... I will never get over pretty white dresses. They come in different designs and details which make each of them special. Imagine my contentment while opening a package from Auburn & Ginger and discovering this pretty dress. My heart jumped in joy because of the lovely sheer lace back and high-low skirt design. Auburn & Ginger is an Indonesian-based webstore, accessible on Facebook fanpage, which provides great variety of clothes with free shipping service. A privilege that I find delightful is they allow you to return or alternate your purchase in case of dissatisfaction. Highly recommended, girls. 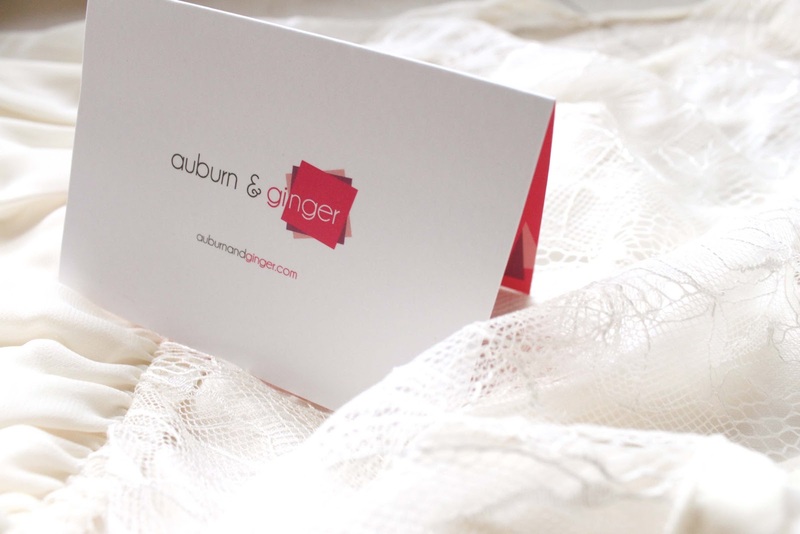 Auburn & Ginger just launched their official website and is currently on sale until the June 24! Click here to head over to and explore the site for an easily delightful shopping escapade! Very gently, air and dizzying! love your mullet dress so much. Beautiful little dress, perfect for the summer. It looks light and airy and perfect for these hot days. I've been on the hunt lately for a white sundress and I think I'll take your recommendation of Auburn and Ginger. I think I've seen you in those heels before, and I have to say again that I love them. What a gorgeous dress Wynne! 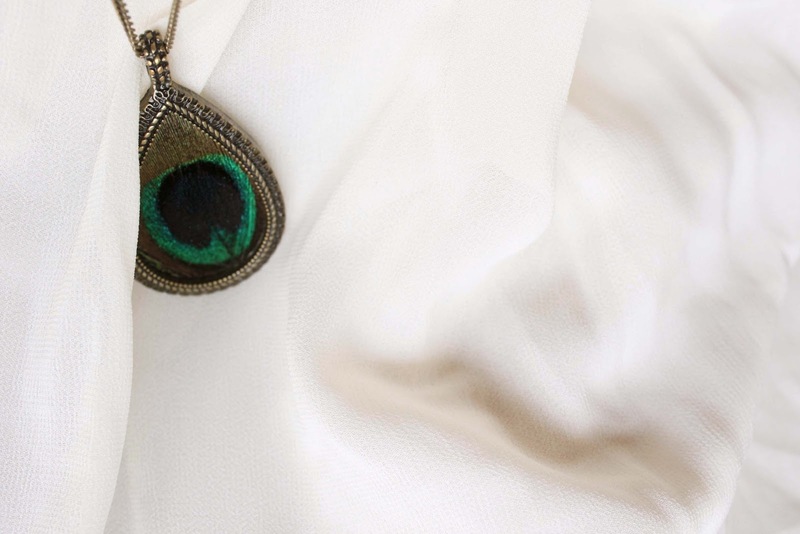 It fits you perfectly and I love the peacock necklace as well! btw, I have a Romwe Dress giveaway on my blog. Such a pretty dress!! I especially love the back and with the pop of a peacock feather. Just dreamy! Gorgeous dress!! I love the back of it! (: Looks amazing on you! Gorgeous dress and shoes, really suits you! Mullet dress is so in trend and you rock it beautifully.. sweet indeed! Thanks for stopping by my blog, appreciate it! Thanks for stoping by my blog. your dress is so stunning!! ps. you can now win a $50 giftcard from The Dark Horse Jewellery on our blog! Dress and shoes look adorable! This dress is gorgeous, I love the details and the design! Such a beautiful dress!!! U look divine in it! that dress suits you perfectly! very cute! its a nice dress.. and you looks so lovely with that.. yes,im agree with you..
wow, that dress is gorgeous! You are such a delight. I love the delicate details of the back. Your dress is just so gorgeous! what an elegant white dress - the hi-low hemline is so pretty! what a lovely dress!!! you look so beautiful! such a cute dress! love the back! Some time ago I were talking about your blog with Hannie and we found it delightfully natural. This is it what we are looking for. And this post confirms our opinion. you're so lovely as ever!!! This is such an awesome outfit! That dress is absolutely gorgeous, love the lace back and the different hem lengths. Really suits you! love the dress!! it's so gorgeous. and you look stunning dear! followed your blog :D follow me back? Love your style! Amazing blog! That dress is gorgeous! Flowy white dresses are so magical. I love the lace back. And the mullet hem is amazing. You're freakin' pretty.